Can aluminum fittings be used with the FXT 201 or FXT 231 transducers? NO. Do not exceed a torque of 15 ft-lb or screw the fittings tighter than two full turns past hand tight, whichever happens first. I sometimes fill 75 gallons and sometimes 65 (tab). How can I have both? Can FF be installed on a 7, 8, or 9 cyl. radial? 300 – 360 HP Radial -> use the #231. 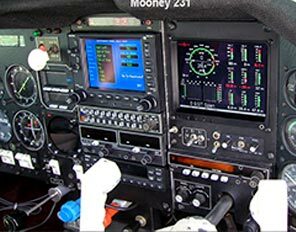 These aircraft DO NOT USE THE #201 .The reason is: Although the model #201 and #231 both have 1/4″ NPT ports and resemble each other externally, on the ‘INLET’ side the #231 has a larger ‘INLET’ internal orifice I.D. than the #201. Less back pressure. How should I install the transducer? Fittings used on the transducer? Since the transducer body is aluminum, you must use steel fittings on the transducer and use not more than 15 ft lb = 180 in lbs., or two full turns past hand tight. Where does the Transducer get it’s power? The Power, which is 12 volts regulated, is supplied by the EDM. FF reads 50% of what it should be? The transducer is marked IN and OUT. Make sure this is correct. It is probably installed backwards. Also check the K factor marked on the side of the transducer. If the instrument came from JPI, see invoice for K factor. 2.) Check that the transducer harness wiring is not routed with or adjacent to ignition wires, alternator wires, spark plug leads, or cabin heater ignition wires. Also check connections and crimps. 3.) Make sure there are no 90-degree fittings within 4” of the inlet/outlet side of the transducer. Cavitations in the transducer will result in inaccurate readings. Consistently high fuel flow readings? 1.) Check for air entering system at selector valve (change o-ring) or elsewhere. ** The next time the aircraft is flown in cruise, turn on the boost pump for one minute. If the fuel flow drops, then this is an indication that air is leaking into the fuel line upstream of the transducer. It is possible that air is leaking into the system through the seal valve or other connection. Fuel stain may not be visible. 2.) K-factor may not be set correctly. The 201B transducer will have a K-factor of ~29. The 231 will be ~19. Hoskins or Shadin transducers will be ~84. 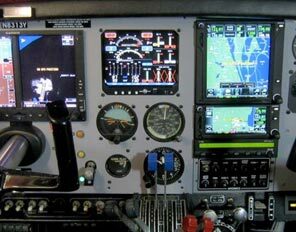 **The lower the K factor the higher the Fuel Flow reading (Flow per hour) the HIGHER the K factor the LOWER the Fuel Flow reading. Do I need shielded wire? No. The JPI electrical system is not noise sensitive like the Shadin system. 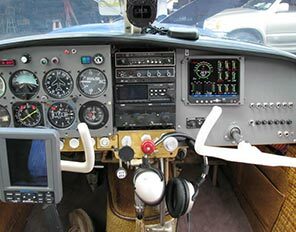 Does Beech Bonanza need a fuel flow transducer? Does FF option require a JPI-supplied transducer? Erratic readings on carbureted engine. 1.) Hold both buttons down until you see ‘PROGRAM’. Tap the ‘Step’ button until you see ‘END Y’. 2.) Hold both buttons down again until you see ‘FAC LIM’. 3.) Tap the ‘Step’ button until you see ‘CARB? N’. 4.) Tap ‘LF’ button to change the ‘N’ to a ‘Y’. (ex: CARB? Y) Tap ‘Step’ again. 5.) You will see ‘CARB F = 1’. Tap the LF to choose #3 -highest filter. 6.) Tap ‘Step’ to ’END Y’. Tap ‘Step’ one more time to get out of ‘FAC LIM’ mode. B.) Also could be air in lines/leaking Selector Valve. C.) Make sure there are no 90-degree fittings within 4” of the inlet/outlet side of the transducer. Cavitations in the transducer will result in inaccurate readings. D.) That FF/Transducer plug connections/crimps are good. 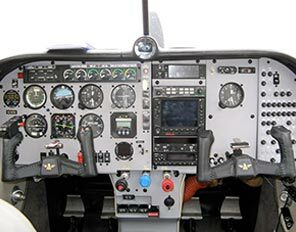 E.) FF harness is not routed with ignition wire, spark plug leads or cabin heat wiring. Fuel USD on EDM is much higher than actual? 1.) Be sure fuel units are correct: Gal, Pounds, Liters or Kgs. 3.) Check for air entering system at selector valve (change o-ring) or elsewhere. ** The next time the aircraft is flown in cruise, turn on the boost pump for one minute. If the fuel flow drops, then this is an indication that air is leaking into the fuel line upstream of the transducer. It is possible that air is leaking into the system through the seal valve or other connection. Fuel stain may not be visible. 5.) Check that the wiring is not adjacent to ignition or power wires. Shield the signal wire if necessary. Reading blank or zero FF. Check EGT-ALL-FF switch setting (and connections). • Check connections/crimps between instrument and fuel flow transducer. With the transducer unplugged from the FF harness, you should see around 12v +/- on the ‘red’ wire and 5v on the ‘white’ signal wire. If you do not see these voltages on the FF harness, then varify by taking these voltages off the EDM Fuel Flow pigtail itself. (Refer to your instruments install manual for pin#’s.) You may have a faulty harness. If you do not see these voltages off the instrument itself, then send in for repair. Call for RMA number before sending. 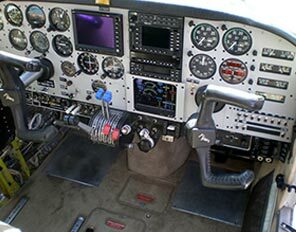 • Check with Fuel Flow Tester to verify that the instrument is working and the transducer connector is getting power and ground. This tester can be purchase at JPI for $35.00. Call the Sales Department at: 800-345-4574. Can fuel flow be installed in the field? No. EDM-700 must be returned to factory modification. Please call for pricing and a RMA number before shipping in for upgrade. Accuracy: – +/- 1 gallon per 100. What transducer should I use? The FXT-201: Standard transducer used on every IO(fuel injected) engine, and carbureted engine with a mechanical fuel pump. DO NOT blow air through the transducer! Never pass high pressure air through or blow through the transducer, damage will occur. How to change the fuel flow units? Go to set alarm limits (Both buttons…END Y…both buttons). Step to FUEL FLW…FUEL GAL. Tap LF to display FUEL KGS…FUEL LTR…FUEL LBS. Fuel USD not same as fill amount. 1. Go to set alarm limits (Both buttons…END Y…both buttons). 2. Step to FUEL FLW…FUEL GAL. 3. Tap LF to display FUEL KGS…FUEL LTR…FUEL LBS. 4. 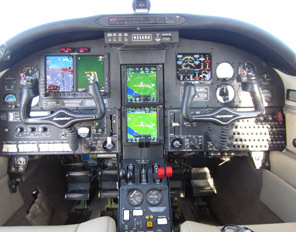 Tap STEP repeatedly to END Y.
EDM-700 may not be in accumulate mode and one or more fuelings have taken place. Or the K factor may be wrong. 3. Hold both buttons until the first digit flashes. 4. Hold or tap LF to set the first digit. 5. Tap STEP to move to the next digit. 6. Hold both buttons to exit. Do you have a Flowscan 201 with a K factor of 82.00? NO. Our 201 Flowscan tranducers are in the 29.00 range and 84.00 to 85.00. Pin assignments EDM fuel flow transducer? The JPI fuel flow tester helps diagnose problems associated with the fuel flow options of the FS-450 or the EDM-700/711/800/760/900/930/1000C engine monitoring system. The fuel flow tester temporarily replaces the transducer and simulates the pulses generated by the fuel flow transducer. This allows the aviation technician to isolate a problem to the cable, instrument or the transducer. To use the fuel flow tester, perform the following steps. 1. Disconnect the fuel flow transducer from the fuel flow cable by pulling apart the connectors near the fuel flow transducer. 2. Plug the cable connector into the fuel flow tester. Red LED indicator on fuel flow tester does not light. Check the fuel flow cable for continuity from the instrument to the transducer end. FS-450: 12 volts between pins 5 and 3 on FF connector. EDM-700: 12 volts between pins 5 and 6 on FF connector. EDM-760: 12 volts between pins 5 and 6 on FF connector. EDM-900/930/1000C: 12 volts between pins 5 and 6 on theP4 FF connector. 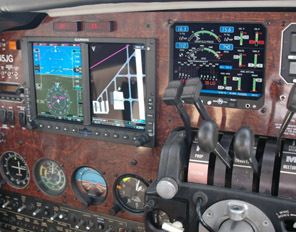 The FS-450 or EDM displays a positive rate of fuel flow with the fuel flow tester, but not with the fuel flow transducer. If the K-factor is approximately 19,000 (19.00=KF), the correct rate shown on the display should be between 18 and 20 GPH. If the K-factor is approximately 29,000 (29.00=KF), the correct rate shown on the display should be between 12 and 14 GPH. If the reading on the display is in the correct rate range, then the fuel flow transducer is most likely defective. Return for repair or replacement. The instrument is okay. **If some other K-factor transducer is used, the display should read approximately the value resulting from dividing 360 by the K-factor. For example: 360/85.00 = 4.2 displayed. 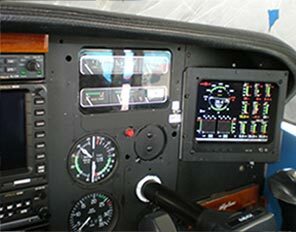 The FS-450 or EDM displays a zero or erroneous rate of fuel flow with the fuel flow tester as well as with the fuel flow transducer. Check that the K-factor is correct. If it is, the instrument is most likely defective. Return the instrument only—not the transducer—to the factory for repair. Beech K-factor = about 85.00 – (3 wire) * Our FS-450’s and EDM’s hook up to only 3-wire type transducers only. Piper K-factor = 84.00 to 85.00 -(3 wire) * Our FS-450’s and EDM’s hook up to only 3-wire type transducers only. Hoskins K-factor = 84.00 to 85.00 -(3 wire) * Our FS-450’s and EDM’s hook up to only 3-wire type transducers only. 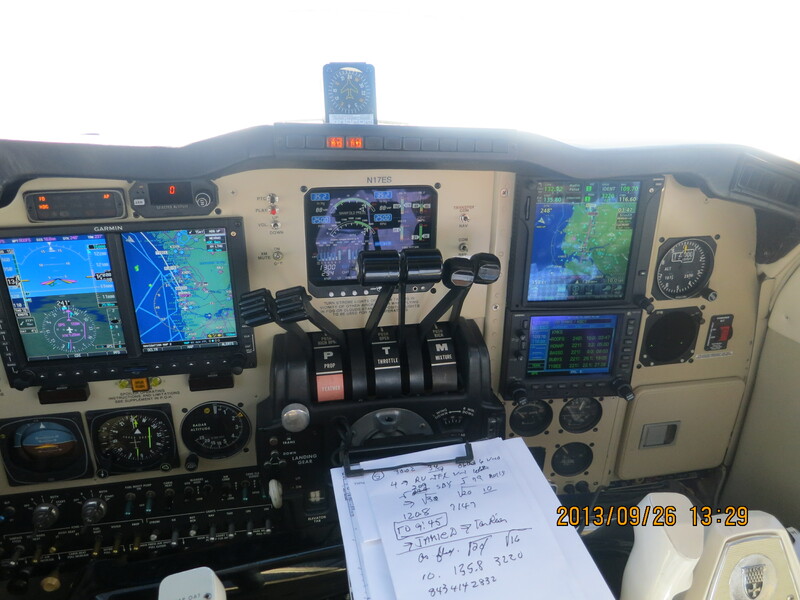 Set the approximate value and then fine tune using procedure in the pilot’s guide. Will the Bendix fuel flow transducer (3 wire) work with you fuel flow EDM’s? NO. IF this Bendix uses a ‘spring-restrained vane’, within the metering chamber, it will not work. Use a pull-up resister (1k) and LED between the red and white wires. With the transducer plugged into the FF harness of the FS-450 or EDM, connect the 1K resistor at the White wire of the transducer – transducer side. The other end of the resistor is connected to a LED. The other lead of the LED is now connected to the red wire of the transducer. Now when fuel is passed through the transducer, you should see the LED flickering. Again the transducer must be plugged into the FF harness of the FS-450 or EDM and these instruments need to be powered on. A Fuel Flow Tester(see below) is also available for $35.00. This will test your FS-450 or EDM. If these test OK, then by deduction the transducer is faulty. You can purchase a Fuel Flow tester by calling JPI direct (800) 345-4574 (please ask for the Sales Department). Check connections/crimps between instrument and fuel flow transducer. With the transducer unplugged from the FF harness, they should see around 12v +/- on the red wire and 5v on the white signal wire.